Since the success (puke) of Donald Trump’s campaign, I’ve felt what can only be described as grief. Election Night, when it all became very clear, I was in complete denial still watching and waiting and hoping the numbers would miraculously change. Wednesday, I could barely pull myself off the sofa and went through an entire box of tissues. I cried for the hopes of women around the country. I cried for my African-American, Muslim, immigrant, Jewish, refugee, LGBTQ friends. I cried for Hillary Clinton, whose life has been building towards that which she deserves. I cried for my international family and friends. I cried for my country. The next few days are a blur of frantically commenting on Facebook posts, thinking up zingers to tweet, and, yes, I even started reading far right/alt right “news” sites to keep my blood boiling in the lulls. The influx of hate crimes and racist, homophobic and xenophobic attacks is beyond troubling. I have friends who’ve experienced this hate that Trump’s victory has unleashed, given permission and legitimized. Then there are the more recent comments regarding the protesters. Sentiments of “move on,” “get over it,” “stop being such a cry baby,” and, my personal favorite, “he is going to be our president and you will like it”. Why is it that those on the right have such a problem with not only violent, but peaceful protest? Our country was founded on it, after all! Today, a week and a bit into Trump’s America, it’s fairly clear that he is surrounding himself with racist, antisemitic, homophobic, xenophobic and white nationalists (could you guess that so far they’re all white men?). I don’t want to be all doom and gloom (although that’s how Trump led us to this position). I have seen so many friends speaking out, calling out the hate, protesting, donating to organizations and volunteering in their community. It’s truly inspiring to see these and so many other initiatives and friends and family putting their time and energy into being the change. It is what we need to do now more than ever. 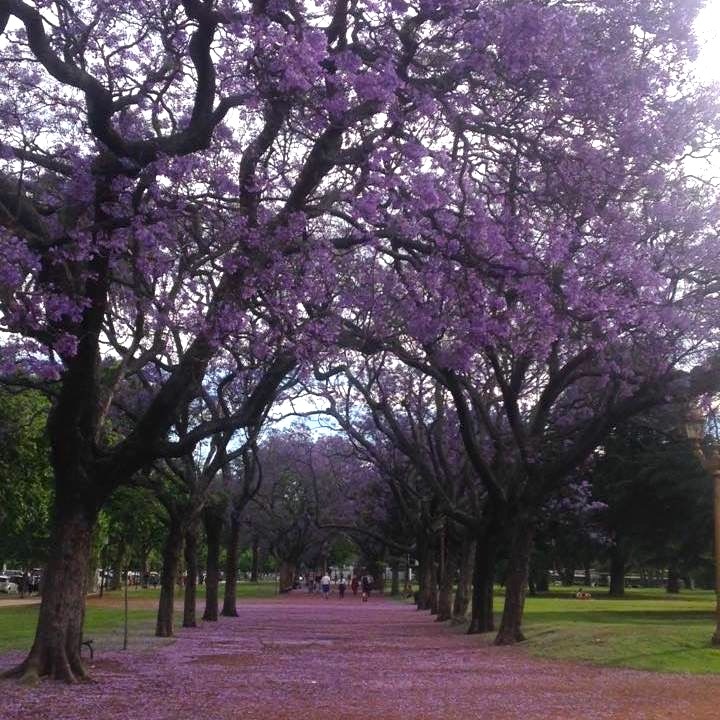 It’s spring time in my part of the world and the streets are littered with purple petals of Jacaranda trees. These gorgeous trees line most boulevards and are abundant in all city parks in Buenos Aires. If only the United States took its cue from the Jacaranda and were going through a renewal and rebirth that weren’t so ugly.